Manuel Fierro knows firsthand the power of a child experiencing a safe and loving environment. As a first-generation Angeleno, Manuel credits his early experiences for setting the trajectory of his professional career by working with families in order to better help their children thrive and reach their full potential. From infancy, Manuel was consistently surrounded by active and loving adults, who modeled positive behaviors for him and his younger sister. Because of their role modeling, Manuel confidently faced the world armed with creative/communication skills learned from devoted family friends and problem-solving and resilience skills passed down by his mother. Manuel became a role model himself, working in the fields of early/primary education and social work while also leading community organizations to solve local social and economic challenges. For more than 20 years, Manuel has dedicated himself to improving the quality of life for children. As the Director of Integration and Learning at First 5 LA, Manuel is responsible for developing processes and tools to support the creation of First 5 LA's learning culture. By using research-based data, his guidance is enabling the childhood advocacy and public grantmaking organization to become a higher performing, higher impact organization for children and their families. After graduating from Cal State University, Los Angeles with a bachelor's and a master's degree in Child Development, Manuel made a commitment to helping his own community by becoming an elementary school teacher in Highland Park (northeast of downtown Los Angeles). Wanting the children in his care to experience many of the life-changing educational opportunities he had as a child (such as visiting libraries, museums and botanical gardens), Manuel worked diligently to help his 3rd and 4th grade students explore their own talents and find their inner confidence through a variety of play-based activities. Manuel then felt the calling to aid families in crisis on a larger scale and became a social worker. For several years, he helped assist disadvantaged parents find ways to improve their educational and economic situations while guiding them to enroll their infants and preschoolers in quality child care programs. 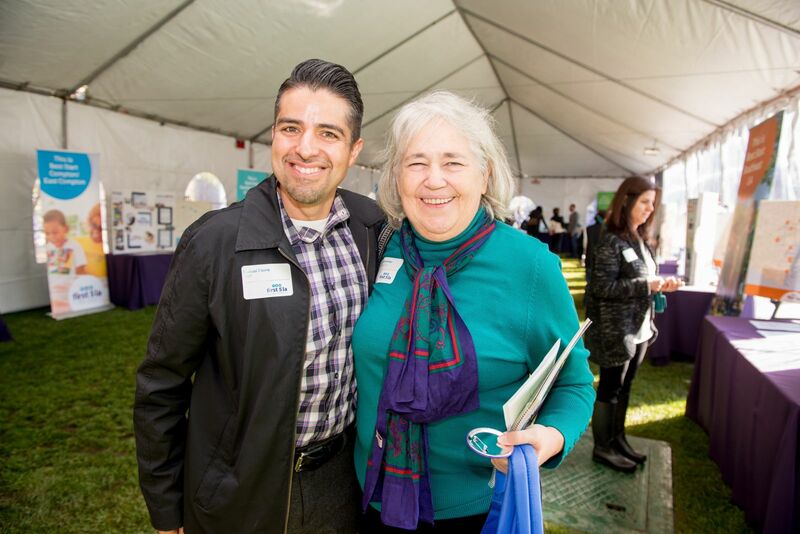 Soon, Manuel's drive to impact more children throughout the state of California came into play as he successfully worked on the "Affordable Buildings for Children's Development (ABCD) Constructing Connections" initiative while employed at the Low Income Investment Fund (LIIF). His support helped 11 counties in California adopt policies that prioritized child care facilities and increased local public funds for child care centers. “His long standing service commitment and history dedicated to advocating and working for children has been evident by his education and by his career,” Carlos added. 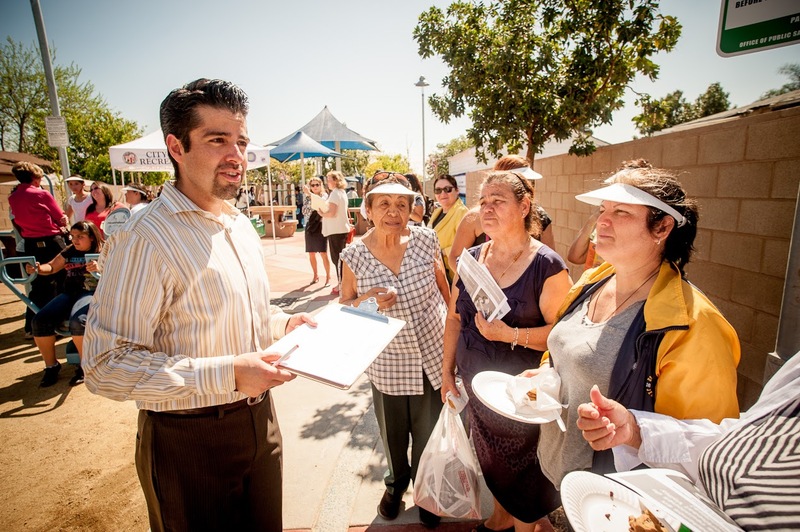 Manuel joined the First 5 LA family in 2011, spending many years working directly with parents, community members and a variety of diverse stakeholders during his tenure with Best Start Communities in the San Fernando Valley. During that time, he spearheaded efforts to enhance local leadership and improve community conditions for families and their children. Now as First 5 LA’s Director of Integration and Learning, he relies on his strong interpersonal and coaching skills to lead a department that is dedicated to advancing the goals of First 5 LA to greatly impact the children of Los Angeles County. Delivering the Eagle Rock Sentinel newspaper within his neighborhood. Selling door-to-door newspaper subscriptions to the Herald Examiner. Selling door-to-door chocolates, candies and cookies in his neighborhood. Working as a dish washer for a Mexican restaurant in the Eagle Rock Plaza. Selling sterling silver jewelry at a push cart at the local mall. Manuel's work ethic was formed early on after watching his parents, especially his mother, run a successful business in America despite the fact that she didn't know the English language. His parents’ ability to never give up, even during the tough times, made a big impact on Manuel. Manuel is grateful for the time he spent working in his local community in a variety of capacities, as each job helped him relate to people fairly quickly and sharpen his observational and listening skills. All of these experiences play a part in his current position at First 5 LA, given the fact that his role requires him and his team to communicate effectively.